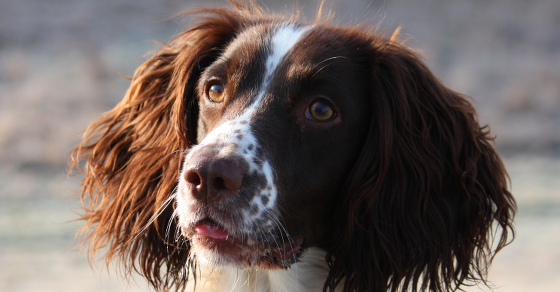 Gundog Training Comments - what is a permanent blind? Gundog training concepts – what is a permanent blind? There are a number of articles on teaching your dog permanent blinds on this website. To give you links to some articles that will help you along the way. What is a permanent blind? As you know, a blind retrieve is one that the dog has not seen fall at any time. [wp_ad_camp_1]It is unknown to him until he scents the presence of the dummy or bird with his powerful nose. A permanent blind, is also a retrieve that the dog has not seen fall. But it is a blind retrieve that the dogs expects to find. Even before he can smell it or see it. This may seem rather like a contradiction in terms. But this is a useful concept to help dogs make the transition from marked retrieves to genuine ‘true’ blinds. The point of the permanent blind is to get the dog running blinds with confidence. This is achieved because the dog’s expectation of a retrieve, motivates him to keep going for longer than he would if he were running a true blind at this stage in his training. Permanent blinds help you through this transition and teach the dog to run long straight blinds with confidence. Why does he expect a retrieve to be there? The dog expects a retrieve to be found at the permanent blind, simply because it is placed in a location from where he has retrieved many times before. So, to sum up, a permanent blind is a retrieve placed at a location where your dog has found dummies before. And where he expects to find dummies again, with a fair degree of confidence. Where do I put the permanent blind? We need a location that is easily identifiable to the dog. So it needs to be visually different in some way from its surroundings. How do I train with permanent blinds? Don’t forget to let me know how you get on. You can share your experiences in the comments box below. I like to use permanent blinds to introduce new concepts, even after the retriever is strong in cold blinds. I may have run the permanent blind once a month or 2 ago, but I think most retrievers remember. Whenever I start poison bird blinds or diverted marks (mark then blind then memory mark), I start with a simple permanent blind to simplify the new concept.